Walking with Oma is on chapter nine. Draft one should be ready by the end of 2009. It’s exciting that talking about the story of my grandmother Anna Skrainka/Schilling on my website has led to contact with American Skrainkas, Doug and Brian. 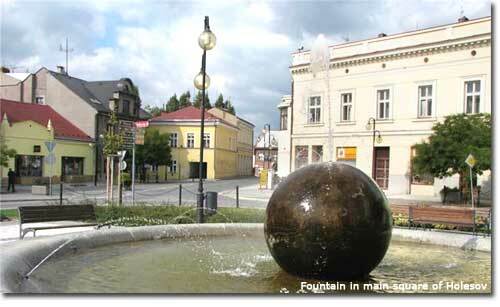 Chapter one, tentatively titled, “The First Jew in Town”, deals with the history of Jews in Europe and the arrival in 1391 of the first Jew in Holesov, the Skrainkas’ ancestral town in Moravia. The finished manuscript will intersperse profiles of period witnesses who lived through the spring of 1945 with my oma’s story and the adventures of Judy and I walking along the Labe/Elbe in 2008. With various spellings, the Skrainka family harkens back to Moravia in 1667 when Benesch, Loebel and Filip SSkranka held property in the town of Holesov. Many different branches of the Skrainka family grew from these seeds in 1667. California librarian Mary Ryan (now deceased), a dedicated amateur genealogist, and Skrainka descendant hired a researcher to trace the Skrainkas in Jewish House number2 in Holesov. Through her work we know that three Skrainka brothers, William, Phillip and Joseph came to the U.S.A. around 1848. These three were among the 12 children of Moses Lazar Skrainka and Lea Levinsky and they account for most of the Skrainka descendants in the U.S. I have now twice visited the Holesov cemetery. In 2009 I found graves for Caecilie (nee Koenig), Adolf Skrainka and Zilli Skrainka (nee Bruell). Other Skrainka gravestones for Sofie, Pesl (wife of Shlomo Leib), Rodi (nee Deutsch),Nocha (wife of Gimpel) and Isaias are on this website www.flickr.com/photos/cam37/sets/72157602214476547/?page=2 . The gravestones for Caecilie, Adolf and Sofie are in the same style (Sofie’s has been vandalized/knocked over) and seem to have been refurbished in the post WWII years. By whom? The monument company Wulkan and Neubrunn of Vienna, later New York, might have done this refurbishing as their name appears on one of the stones. Most of these gravestones have dates on them placing these peoples’ lives before the Holocaust. The name of Simon Skrainka appears on a plaque in the burial hall along with that of Adolf Skrainka; they are recognized as benefactors of the Jewish community of Holesov. If you have information you would like to add, please email. I would like to see the global Skrainka family grow. SKRAINKA Nocha wife of Gimpel - 1827?-1881?